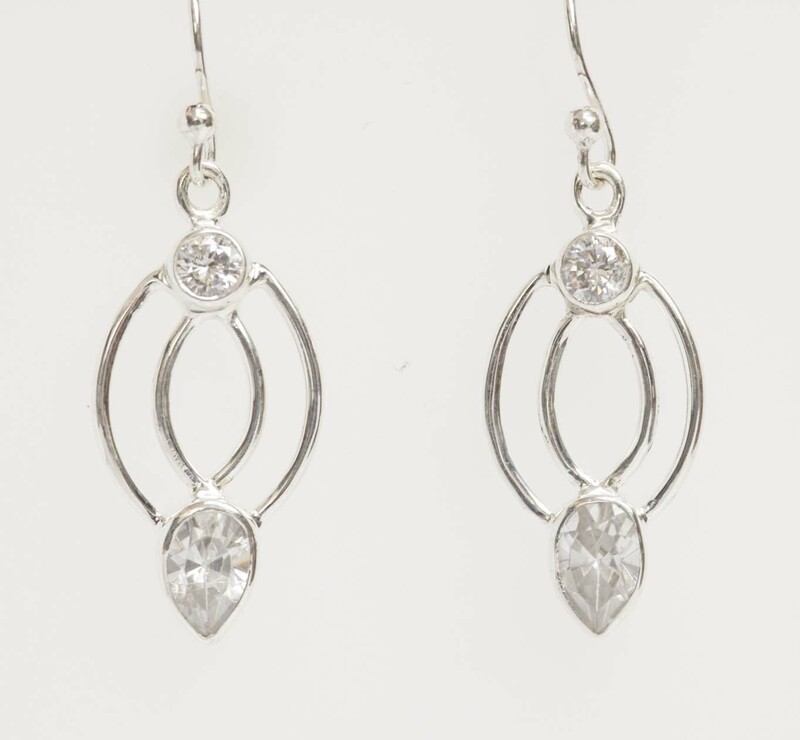 Two faceted colourless cubic zirconia set in sterling silver with a fishook ear fitting. One earring weighs 1.7 grams. 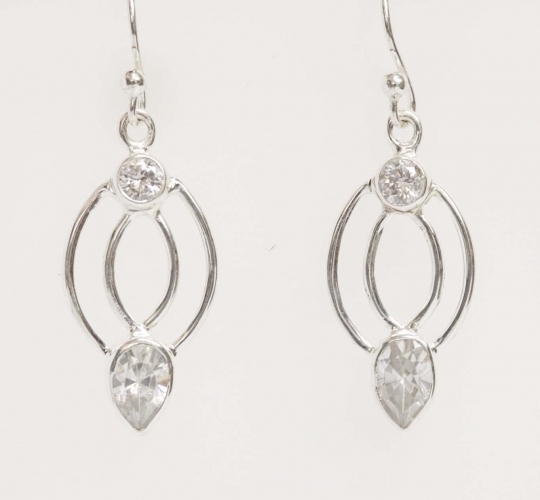 Clean jewellery regularly with a silver polishing cloth to avoid the build up of damaging tarnish. Stones can be wiped clean with a damp cloth. Do NOT immerse in water, or wear in the shower or bath, or you may dislodge the stones.